Gregory Olson - California - Book a consultation instantly! The Law Office of Gregory P. Olson focuses on protecting businesses and individual clients in commercial/residential real estate, business, employment and intellectual property disputes. Mr. Olson's practice includes all aspects of business and commercial litigation. Focusing primarily on litigation, he represents individuals and businesses in a variety of types of disputes, including the prosecution and defense of actions arising from private contracts, employment, unfair competition, Internet and e-commerce, trade secrets, trademarks, corporate management and control, partnership and limited liability company management and control and real estate interests. Attorney Gregory Olson litigates in both state and federal court and represents parties in alternative dispute resolution proceedings, such as mediation and arbitration. In addition, Mr. Olson has extensive experience in obtaining emergency judicial relief on behalf of his clients, such as temporary restraining orders and preliminary injunctions. Prior to opening his own office, Mr. Olson was a shareholder in one of San Diego's oldest and largest local law firms, where he practiced law for nearly a decade. Mr. Olson graduated from Stanford University in 1991 with a B.A. in Political Science and from the University of San Diego School of Law in 1995, where he served as a Comments Editor on the San Diego Law Review. 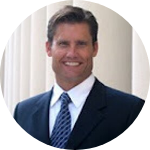 Mr. Olson's professional affiliations include the California State and San Diego County Bar Associations, the Association of Business Trial Lawyers, the San Diego Inns of Court and the Louis M. Welsh Chapter of the American Inns of Court.